Trying to find out the CBD Level right for Your Body's Needs? Buying Oil: Size and Strengths. 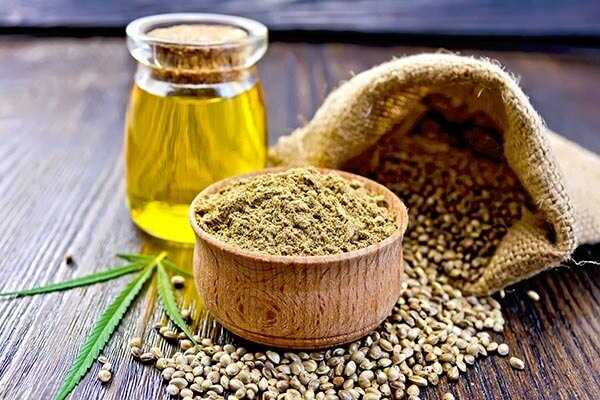 The amount of hemp oil in a bottle is measured in fluid ounces or milliliters (ml). The amount of the specific cannabinoid called CBD in the hemp oil is measured in milligrams (mg). Strengths, or mg, are in relation to 1 oral application (1 glass dropper full). We offer 6 CBD levels. Level 1 has 40 mg of CBD in each daily dropper full and is $80. Level 2 is 60 mg of CBD & $90. Level 3 is 80 mg & $110. Level 4 is 160 mg & $130. Level 5 is 250 mg & $160. Level 6 is 275 mg & $180. Hemp CBD oil Level 1 is for the majority of individuals getting started on a daily regime of Hemp oil. A great place to getting started. Level 1 is perfect for anyone who has never taken any Hemp products that have a low cannabinoid- THC that is acceptable with U.S. standards of legal hemp products. Like many health supplements, more is not always better. Start a lower CBD level to insure positive results and test for sensitivity in anyone who chooses our products. Through our research, under an established protocol, we found that 40 mg of CBD per day demonstrated significant results. It also established the starting point of the six levels that we have for sale today. Although 40 mg of CBD is low enough to be safe for everyone, our participants report a change within the first month of taking it daily. It is possible, after a consultation, that level 2 is appropriate for many current users of cannabis products. If you are ready to purchase and believe that CBD Level 2 is right for you, but are unsure, get a free consultation. You have guidance available when you buy CBD from Nature's Rooted Wisdom. Each person’s body metabolizes oil differently, depending on your lifestyle and food choices. Young people are highly sensitive to CBD and level increases. A 20mg increase from Level 1 is perfect for them, after a month of positive acclamation. Our CBD rich hemp oil is natural, organic and cold-pressed through a careful process that optimizes retention of nutrients. We do not use unnatural, European, or Chinese products in our CBD hemp oil. After taking level two CBD for a month and desiring to see more results, go up a level. Ideally Level 3 will be reached no sooner than 3 months after starting with Nature's Rooted Wisdom. Perfect body system functions are brought into balance by taking the level of CBD needed, not more. We encourage you to take the right strength. Level-3 (80mg) is double in strength from level one. We encourage you to slowly increase supplementing these vital cannabinoids for making your endocannabinoid system healthier. Give the systems deprived of CBD some time to heal. Small CBD supplementation each month adds up to significant changes in your body, creating a better internal environment for the body to work its magic and find the right balance to keep all the systems functioning optimally. Note that Level 4 is much stronger than Level 3. Level 1 is great for anyone, Level 2 is appropriate for some people and 3 allows for the ability to boost it the last amount that a few users need. Level 4, 5, and 6 are not for everyone. This level of CBD isn't needed to see great results for a majority of people. Level 4 is noteworthy in that a majority of our participants, at this strength, report bodies responding favorably and it created the balance that they were looking for in a hemp product. Every bottle is a 30 day supply and is 1 fluid ounce, or 30 ml. One dropper per day is always the maximum, at any CBD Level. Even at higher strengths, you will not be taking more dropper fulls. Level-5 (250 mg) participants, as a group, who progress to Level 5, due to their circumstances, have a higher tolerance for essential hemp oil. For instance, some individuals that had been accustomed to the effects of the cannabis family of plants already found this level to be advantageous to their condition. We often do fulfill requests to start a new CBD regiment with Level 6 for cancer patients. Most users do not reach this level, finding the best results from lesser strengths. Level-6 (275 mg) is the highest of our 6 levels of CBD rich hemp supplement oil. Some individuals have taken up to one year to reach Level 6. Because of its potency an individual can split the daily dose into 3 servings per day.